Merleau-Ponty’s ontology is an important resource for flash reason. 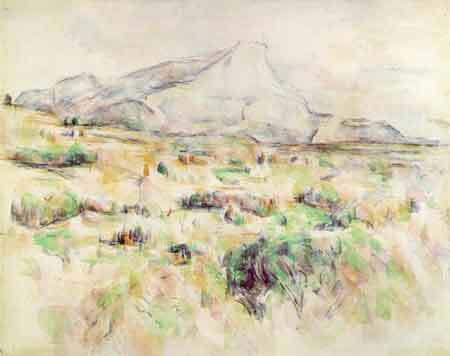 M-P (like Heidegger) recognized that the logic of a new metaphysics was invented within modernist arts, especially (in the case of M-P) Cezanne’s painting and Proust’s novel. Just as “Being” is an effect of and happens only within alphabetic writing, so too is “Flesh” (M-P’s ontological category) an effect of thought’s encounter with imaging. Graphic design is the grammar and syntax of this mode of articulating “wild” or brute nature of embodied experience. In the context of electracy, for operating the interface-databases of a digital apparatus, phenomenology and deconstruction (experience and language) are allies. Nature proper may not be a forest of symbols, but MUVE’s (multi-user-virtual-environments) are or should be. The immediate interest for flash reason is M-P’s retrieval of the term “element” to replace “substance” in discussing ontological flesh. The flesh is not matter, is not mind, is not substance. To designate it, we should need the old term “element,” in the sense it was used to speak of water, air, earth, and fire, that is, in the sense of a general thing, midway between the spatio-temporal individual and the idea, a sort of incarnate principle that brings a style of being wherever there is a fragment of being. The flesh is in this sense an “element” of Being. Not a fact or a sum of facts, and yet adherent to location and to the now. For if there is flesh, that is if the hidden face of the cube radiates forth somethwere as well as does the fact I have under my eyes, and coexists with it, and if I who see the cube also belong to the visible, I am visible from elsewhere, and if I and the cube are together caught up in one same “element,” this cohesion, this visibility by principle prevails over every momentary discordance [Maurice Merleau-Ponty, “The Intertwining — The Chiasm,” in The Visible and the Invisible). This updating of “element” suggests the appropriateness of locating the categorial potential of a disaster in its distribution of elements. Water (a ratio of Water and Earth) is the element organizing the Cabot-Koppers Superfund catastrophe in my figure. More work needs to be done to gather the resources of those who share M-P’s interest in this possibility: Bachelard, Greimas, the Surrealists, to name a few. I have been reading through your blog and I love how you simultaneously break ideas down and yet “glue” them together. I have an architecture background and for years I have been angry and confused in school because I could never pin point the connection between ‘the visible and the invisible’, more in terms of which comes first. It has always been a struggle to have to limit oneself in the name of Formalism. Well, my question is, do you know some reasons why academic institutions wouldn’t want to explicitly teach the idea of Electracy? It just boggles my mind when a subject like this is in the humanities and not prominent in the arts, when artists and designers have the craft to create. As you know, the academy is a conservative institution (perhaps that phrase is redundant? ): change comes slowly, even in an institution devoted to learning. The challenge in the context of the apparatus and the epochal and paradigm shifts it entails is just how open literate education may or may not be. “Electracy” as a conceptual account is recent (my first book is 1985) and is gradually finding interest and being taken up for further work by younger colleagues. However, it is no more prominent in the Humanities than it is in the Arts. The academy has little difficulty absorbing concepts and histories, but the real issue is whether it may become properly electrate (whether it may appropriate not only the technology but also the metaphysics of electracy). “School” as we know it is a creation of literacy, just as “Church” is a creation of orality. Church does not teach Darwin, but it wants School to teach faith (creationism). It is not that the academy needs to mutate into electracy, but that it needs to support an alliance with the emerging institutionalizaiton of the new apparatus (to learn the lesson missed by religion in its relation with science). That will not be easy since we are referring to entertainment corporations.